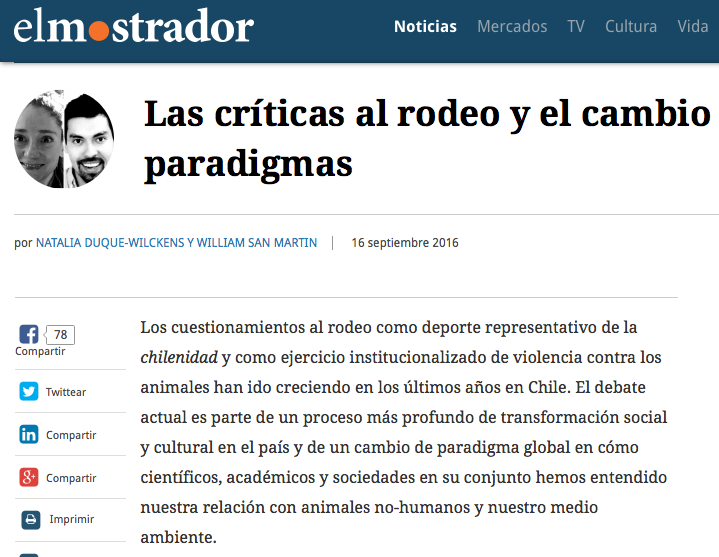 Press article featuring a co-authored study on the impacts of free-ranging dogs among small-scale farmers in Chile. 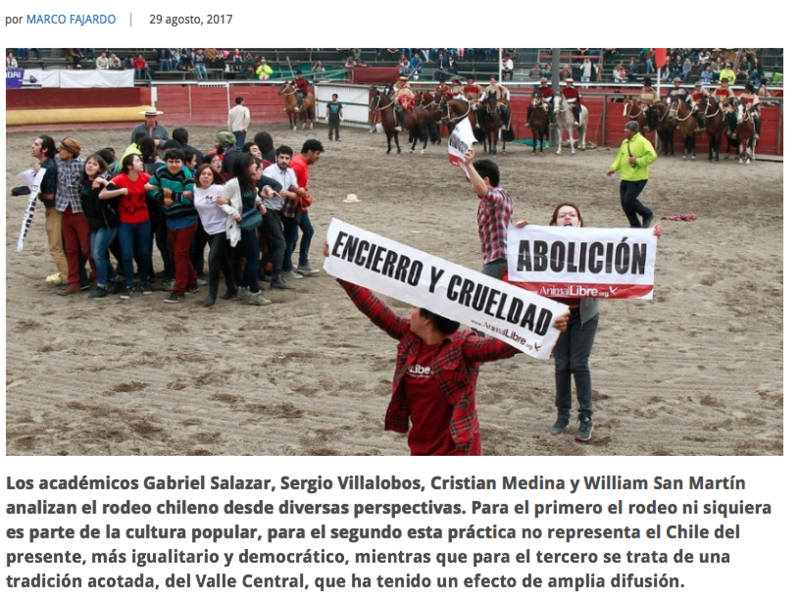 ​Co-authored column assessing criticism against the rodeo in Chile from the perspective of socio-cultural history, ethology, and animal cognition. Presidenciables: Y qué hacemos con los perros?